KYLIE: MEXICO WHAT? I should be putting the finishing touches on my valedictorian speech. Graduation is TODAY, and is this a wedding band on my finger. MAX: It all started with Kylie's laptop and a truck full of stolen electronics. Okay, it was kind of hot, the way she broke us out like some chick in an action movie. But now we're stranded in Tijuana. With less than twenty-four hours before graduation. Awesome. WILL: Saving Kylie Flores from herself is kind of a full-time occupation. Luckily, I, Will Bixby, was born for the job. And when I found out she was stuck in Mexico with dreamy Max Langston, sure, I agreed to bring their passports across the border -- but there's no reason to rush back home right away. This party is just getting started. The dynamic between Max and Kylie was so cute. This is a popular guy, and she's not a popular girl, but somehow, these two start to develop some pretty amazing tension between them as they run from the thieves who stole from Kylie and find out some stuff that was unexpected. Enter Will, Kylie's gay best friend, whose personality had me laughing pretty much non-stop. And as much as I loved the other characters, I absolutely did not like Lily. She's your typical nasty popular girl, but even she changes through the story's events. This was a fun, adventurous and romantic summer story that had me thoroughly entertained. 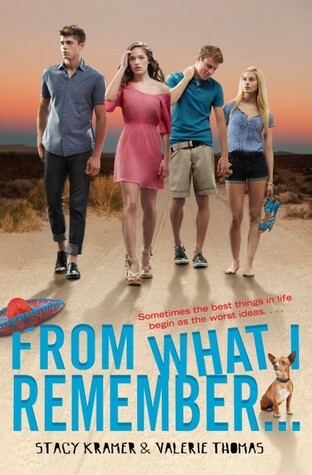 The writing was good, the story cute, and the tension between Max and Kylie was just right. Loved it.